The building opened to the public in 1996 and includes a permanent exhibition of decoratively furnished rooms, realised by contemporary artists and crafts people, which allow visitors the opportunity to compare the original drawings against each completed room. 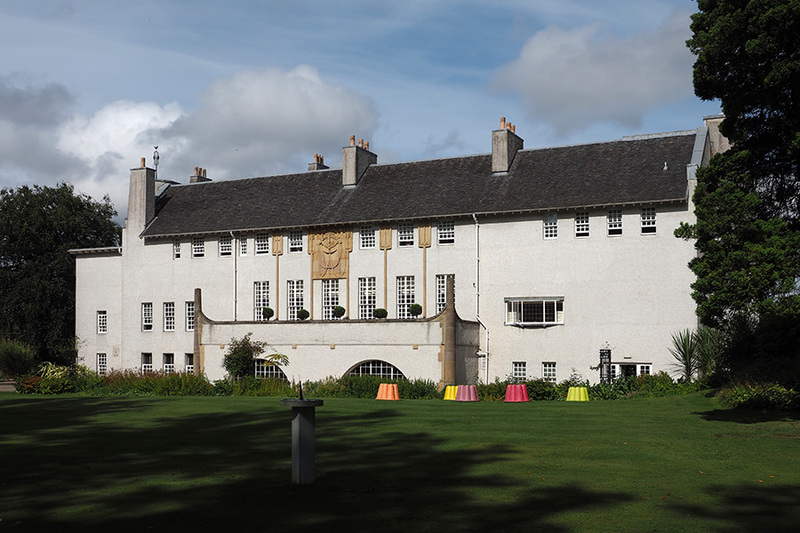 Today, the House, situated in the picturesque Bellahouston Park, also provides exclusive corporate and private dining facilities together with the contemporary Art Lovers' Café and Shop. Changing art exhibitions in the restaurant ensure visitors combine the very best in culture and cuisine. for weekday opening times, please telephone in advance. Leaving Dumbreck Station, turn right and continue to the end of Nithsdale Road. Turn right and continue along Dumbreck Road until you reach the entrance to Bellahouson Park on your left. By Underground to Ibrox Station. Leaving Ibrox Station, turn right and continue to the end of Copland Road, turn right along Paisley Road West until you reach the entrance to Dumbreck Road on our left. Continue along Dumbreck Road until you reach the entrance to Bellahouston Park on your right. By Bus from Glasgow City Centre (Union Street, close to Central Station). Numbers 9, 34, 54 or 56 (First Bus Services). From the M8 travelling towards Glasgow Airport Exit at junction 23. From the M8 travelling towards Glasgow City Centre Exit at Junction 24. From the M77, exit at Junction 1.